Portugal’s One – Two – Punch beats Wales! The set up was clear: Wales has reached the semi-finals with a lot of passion and tactically clever Defending as a surprise team. Portugal’s route has been less surprising despite several persistent problems in possession. Due to this constellation and combination of strengths and weaknesses ones could declare Wales as the favorite – just ask Belgium. As expected defended Wales in 5:3:2, which made it difficult to get through for Portugal immensely. Nevertheless, Portugal showed good approaches to crack the defense organization, unfortunately there were too few of such sequences to give the audience a really exciting game. Example: The ball is driven from the left, Wales narrowed the space and Portugal takes a short cross on Sanchez. 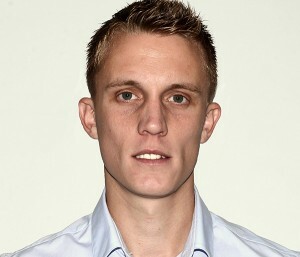 He dribbles and plays at the last moment the ball to the wing. Overall, a good sequence. However, the right-back Cedric could have taken a higher and narrower stand to dub not only the midfield, but also the defenders successfully. The only chance Wales produces came by a corner kick. We all know that set plays often decides games – so this could have changed the games immensely. Considering the good execution. Example: All Welsh run towards the goal and get marked man oriented. 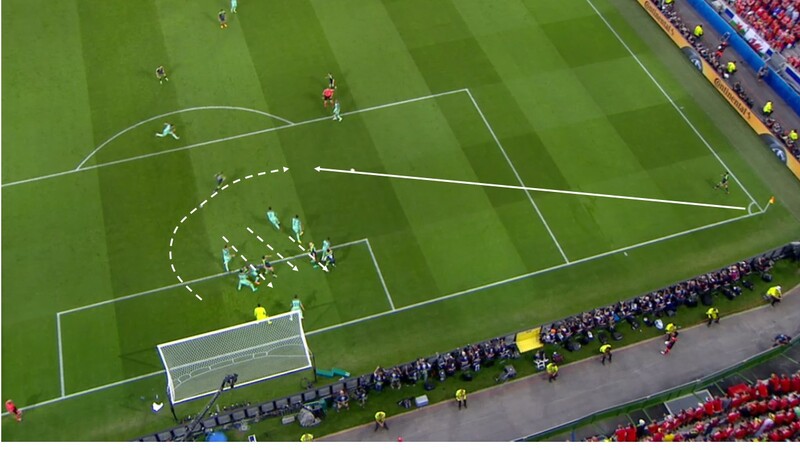 This opens up the space in the back and allows a good shot opportunity for Bale. Wales cannot Recover from One Two Punch of Ronaldo and Nani! Speaking of corner kicks. It was a corner in minute 50th that decides the outcome of the game in favor of Portugal. Ronaldo jumps simply the highest and scores for the Portuguese. In the 53th minutes Wales could get the ball out of the dangerous zone, Ronaldo gets a free look at the goal and Nani ultimately scores. The following 35 minutes showed the classic game, if a team is leading and the other team’s time is running out of time. Portugal focused on defending and took away virtually all the possibilities to create spaces for Wales. 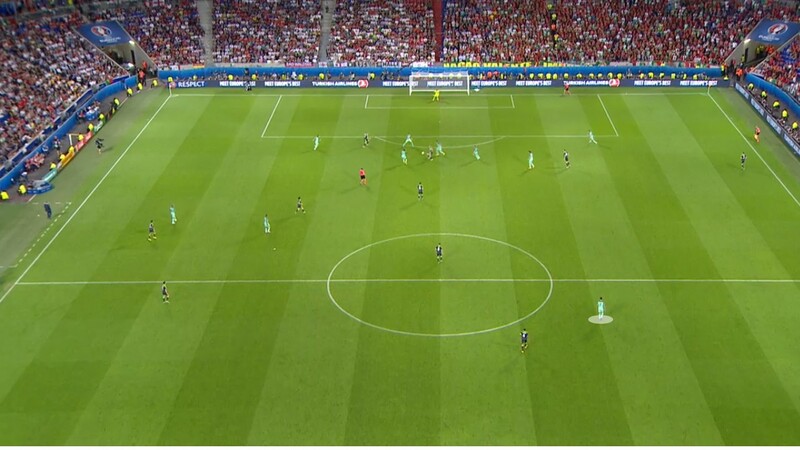 On the other hand, Portugal got the same exact spaces as they won the ball. Since Ronaldo not participated in the defense process, he was the first option in transition. That Wales was not able to create chances, had many reasons. Firstly, the absence of Ramsey for the game structure and the transition game were noticeable. Moreover, Bale had a tendency to be too much to get towards the ball in order to be integrated into the game. As we all know, Bale is rather a player who needs to get the ball to the open field, to be effective. 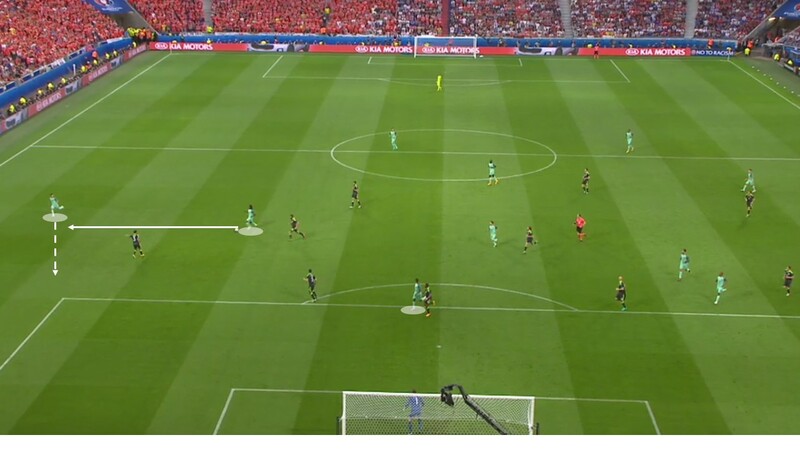 Example: Bale gets the ball in the right in-between space, in this position he has no option with the ball and kicks the ball across the field. If he remains in this situation at the opponent’s defense, he allows his teammates to open up. That this is not really Bales role is obvious. Conclusion: Portugal only needed two good sequences to reach the cup final Wales (as well as Iceland) showed that tournament success does not only depends on player material, but also comes from the match coaching and the mentality of the team. For what Wales as well as Iceland will always be remembered. OUT NOW – German Top Level Tactics! 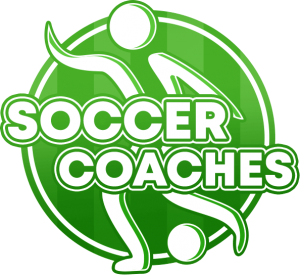 Soccer Lessons from the World Cup Winner!